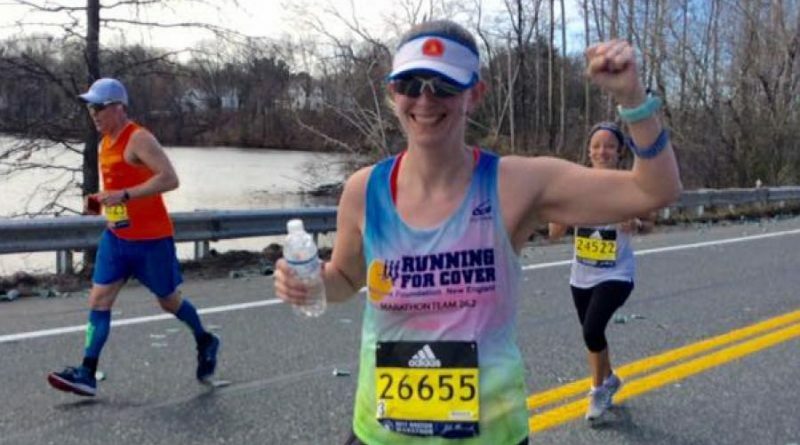 Editor’s Note: Framingham Source is profiling runners participating in the 2018 Boston Marathon. If you would like to be profiled, email editor@FraminghamSource.com before April 10. Why run Boston? For me, the question is why NOT run Boston? Living here, I can’t imagine April coming around without this race on my calendar. It is even more meaningful now that I am part of the Team Framingham Steering Committee. Helping 22 local runners reach their goals, and seeing the positive impact on our community makes it that much more rewarding. Which charity are you raising money for? Why? This is my 5th consecutive year as part of Impact Melanoma’s Team Running for Cover. I am well-known among local runners for always having sunscreen with me to share before training runs and races! How did you first get into running? I have always been a runner, mostly just for fitness. I did my first marathon in my early 20s, when I was living near Washington DC. Some of my work colleagues had done the Marine Corps Marathon the previous year, and couldn’t stop talking about how painful and horrible it was. I decided to give it a try and prove them wrong. Well, they weren’t wrong! It was painful and horrible but also fantastic and inspiring. I did two marathons in my 20s and then took a long break when life happened, coming back to it the year after the Boston Marathon tragedy in 2013. Why do you like to run? I like the challenge, and I like having a goal to work towards that doesn’t let you get away with cheating. You can’t cram for a marathon! You have to train the right way, and be dedicated to it. As I get older, I’m also learning about how it has to be about the journey… not the final outcome, because you never know what’s going to happen on marathon day. It is too much work to all depend on a few hours with so many variables at play. What is your goal for the 2018 Boston Marathon? On a perfect day, I may have a time goal that I will keep to myself. No matter what, my overall goal is to run a smart race so I feel as good as I can when I cross the finish line. There’s nothing worse than hitting the wall in a marathon. … and there’s nothing better than finishing strong. Tell me something about your training for the marathon: I have tried to train smarter this year. An unfortunate consequence of getting older is that I can’t get away with overdoing it anymore. Last year I went into race day feeling a little beat up and almost injured, luckily I still managed a good run. This year I tried to focus on consistency and staying healthy and strong… a little more yoga, a little less running volume… we’ll see how that works out on April 16! One good thing about getting older… I don’t have to run quite as fast to guarantee myself a spot in next year’s race because qualifying times are based on age! How do you stay motivated when you don’t want to run? Having 22 runners on Team Framingham to look after definitely helps keep me motivated. What is your favorite pre-running meal? Bagel with peanut butter and honey. And shots of pickle juice … that stuff is magic. What shoes will you wear on Marathon day? Brooks Launch. Will you wear anything personal or symbolic the day of the 2018 Boston Marathon? Impact Melanoma singlet with names of friends and family affected by cancer written in on the back with a sharpie.